Why should I hire a lawyer for traffic violations? Why should I hire a lawyer for traffic violations? Why should I hire a lawyer for traffic violations? Hiring an attorney for traffic violations is a form of protecting your driving record. It takes 5 years for any tickets to drop off and that could hinder your insurance premiums. Getting a ticket for some is very stressful, forgetting that you have a ticket and not paying it or failing to show up for a court is even more stressful. That is why you need the best Austin area traffic law firm out there. Your consultation is free so you can’t go wrong there! It starts with an old ticket that you forgot about and as a result, now you have a suspended driver’s license. Why should I hire a lawyer for traffic violations? A warrant for your arrest could be in the system of every police officer across all (8) counties. So now the scenario is, you were pulled over for a tail light out, the officer ran your license and found a warrant and you got arrested. Moreover, you still will be processed into the system and wait hours just to get bonded out. You have a relationship with the bond company until your court date. Why should I hire a lawyer for traffic violations? If you live within the (8) counties that make up Austin, Texas, you most likely have a note in the system telling officers you have not taken care of a ticket. Depending on what county you live in they may or may not contact you by mail. It is better to have representation for a lost ticket. You do not want to waste time and money trying to do this yourself. Many of us get a ticket and put it in the center console of the car and never to be seen again. This might have happened multiple times. Unfortunately, tickets that are not dealt with in a timely manner could result in severe consequences. Enough tickets or even one ticket that is forgotten over and could result in an invalid driver’s license. Check here to see if you are eligible to drive. What are Class C misdemeanors? If you have a case number assigned to a municipal court or with the Justice of the Peace, then it is classified as a Class C misdemeanor. This type of classification is generally for traffic tickets or various moving violations. Why should I hire a lawyer for traffic violations? Other offenses such as DWIL (driving while license invalid), DUI minor, assault, theft, possession of drug paraphernalia or public intoxication all need an attorney. These are charges worth fighting. It is not worth it, and we can help you avoid. It is a common misconception that a traffic ticket is final and that the officer issuing the citation is always right. The point system alone is reason enough to have representation so that you do not lose the privilege to drive whether it is for personal use or for work. 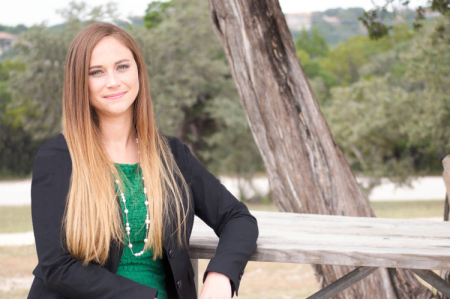 Call KellyMcMahan Law Today 512-843-2889 or visit our website.